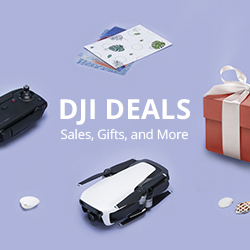 What are the must have Phantom Accessories for the Phantom 3? Do you own a Phantom 3? What are the must have Phantom Accessories for the Phantom 3 to take your drone photography and experiance to the next level? With the range of the Phantom 3 – from Standard through to pro level these must have accessories will help you achieve the best results with your drone. The sunshade is a really cheap bit of kit but essential to get when using your Phantom 3. The glare from the sun on the device you are using with your drone – whether that is a tablet or a phone can really reduce your experiance. A simple sunshade, cheap, quick and easy to fit reduces that and helps you get a decent view of what you are doing. If you want to take your flights to another level, you will need an extra Phantom 3 Intelligent battery or 2, or 3…. sooner rather than later. Being constrained by limited flight times can be a real pain. An extra battery helps when filming, rather than running out of battery midflight you can get the job done in one go. See the options for Phantom3 batteries from DJI. If you are going to use multiple batteries, you want a more efficient way to charge them. The DJI Charging Hub allows you to charge 4 batteries at a time. It uses your existing charger, is small and compact and easily portable. Whilst you might want to keep your shiny new Phantom in it’s box, at some point you with need the Phantom 3 Accessory of a Backpack. The official DJI Backpack fits the whole Phantom range so whilst pricey will last you if you change models at any point in the future. This will help avoid any accidental bumps or bashes of our expensive equiptment. There are various ND filters available for the whole Phantom Series. These are important – like having a pair of shades for your phantom. The ND filters will reduce the amount of light that goes into your lens thus reducing shutter speed. Essential must have item for any serious Phantom pilot.